What's the best Noise Cancelling Headphones for kids? Most people easily find headphones for themselves, but when it comes to choosing a pair for their kids, they don’t know about the options available on the market or how to choose them. I’ve been contacted by many parents and as a result, I’ve created a detailed guide on the safest and the best noise cancelling products for kids. After compiling data from the feedback of many kids and their parents, I’ve chosen top 6 noise cancelling hearing protectors for your loved ones. 3M Peltor’s ground breaking design technology dedicates special attention to the comfort, safety and durability of its products. Whether reducing professional noise hazards or mowing your back lawn, the innovative designs and technique from Peltor allows for long lasting products that offer supreme comfort and precise protection from all types of noise hazards around your kids. The Peltor (3M) H10A Optime Hearing Protection Headphones come in an over-the-ear design with over sized earmuffs. Comfortably flexible and sufficiently durable, Peltor pulls out the all stops to provide one of the best children’s noise cancelling products on the market. These are non-electronic, passive noise cancelling devices that offer a premium reduction in ambient noise levels, up to 105dBA, for children aged 2 and up. The adjustable headband allows sufficient room for alterations, and may even fit adults with relatively smaller heads! Dimensions5.7 x 4.5 x 8.1″; that’s approximately your 4 year old’s size 8 shoe, your toddler’s size 4 and their 6 year old cousin’s size 2 shoes as the dimensions for a cube. Weight12.3 ounces. 1.5 cups of Chocolate chips should give you a fair idea of how much that is. DesignThe over-the-ear design features Double-Shell Technology to offer a multi-functional use. The adjustable stainless steel headband evenly distributes the 200 gms of weight to provide a low pressure fit. With no batteries to charge or wires to tangle, the Peltor H10A allows for a tangle free, hassle free use. They are compact enough to be carried in your bag for your kid’s! 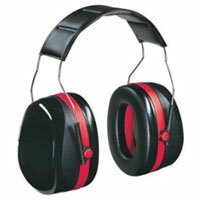 Hearing Safety The Peltor H10A Optime Earmuffs bring down the decibel level by 30dB. So if you have a construction site just behind your house or if your child wants to sleep halfway through a concert, these headphones will allow your little one to sleep comfortably without any noisy intruders bothering her slumber! Comfort FactorThe twin cup design of the over-sized earmuffs offer a pillow-like comfort to your child’s ears, keeping them safely ensconced from the loud noises of traffic, the drones of an airplane, or even household appliances. The fully adjustable steel wire headband comes with ample padding as well, with pressure distributed evenly throughout for a comfortable wear. It’s all wire overhead, which moves pretty smoothly, is great if you have more than one child with different head sizes. It is even large enough to go above a hat! The only snag is that the jumbo sized earmuffs make it difficult for them to hang around your neck. They will invariably bump into your babies chin. Hearing SafetyIt brings down the decibel level by 30dB, which is more than most of the products available on the market (average NRR is 20-22dB). 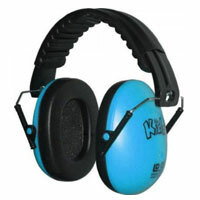 Sound QualityThe Peltor (3M) H10A Optime Hearing Protection Earmuffs are the answer to airplane drones, construction site rackets, or migraine-inducing rowdy neighbors. Build QualityThe earmuffs are not latex free, so anyone with a latex allergy needs to be on the lookout! The overhead wire could extend and loose elasticity with prolonged use. This is normal, but build is otherwise durable. ComfortThe huge earmuffs are pillowy soft and comfortable for the ears. On the other side, the size becomes a hindrance for hanging the pair around the neck. The over-the-ear earmuffs are surprisingly lightweight for its bulky appearance. 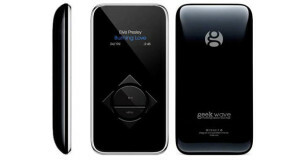 It doesn’t ‘click’ into a particular position and doesn’t offer zippy designs or trendy colors to choose from, though. Get past that and you get amazing functionality from the Peltor (3M) H10A for the sensitive ears of your little ones at an affordable price (and if you are lucky, you get to borrow them when they are asleep!). If you are looking for a pair of earplugs or earmuffs to help keep the snoring roommate’s high and lows out while you do your grad study, the internet will flood you with a thousand or more choices. If, however, you happen to be a young adult with a comparatively small head, or a kid who flinches every time a firecracker goes off, your options are probably going to be very limited. The Pro Ears ReVO Passive Ear Muffs are a perfect solution to this problem! They are specially designed for the youth, as well as adult men & women with comparatively smaller heads. The custom made designs are perfect for moderate sound reduction at the ranch, the race track, or simply during ‘study-time’ in school or at home. The trendy colors and comfortable build does not hurt either! All in all, these ear muffs are one of the best noise cancelling devices on the market specifically aimed for youngsters and adults with smaller heads. Dimensions9 x 6 x 4″; that’s approximately the space between your thumb tip and the top knuckle times four, multiplied by the length of a US Dollar bill into the width of most people’s hands measured across your bottom knuckles (without the thumb). Weight1 Pound. Approximately three medium sized apples. DesignThese over-the-ear headphones definitely look and feel professional. Crafty technology takes care of both functionality and comfort. No externally visible metal wiring to break and poke you, no pellet-sized ear plugs your child might swallow in curiosity – Pro Ears seems to know what they’re doing! The ear muffs come with extra plush leather cushions and a smartly, engineered tighter radius headband for a steady and comfortable fit. An array of thirteen bright neon colors to choose from spoils even the pickiest youngsters for choice! 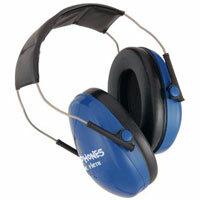 Hearing SafetyThe Pro Ears ReVO Passive Earmuffs lowers the decibel level by 25 dB. That means the colossal roaring of the F1 cars will be brought down to a safe level while he enjoys a live race, and still be able to hear you next to him when it’s time to go home (Warning: he might try to pretend he can’t!). That is to say, you do not lose out on critical communication while effectively minimizing the risk to your kid’s ears! Comfort FactorYour child will be spoilt by the luxurious cushioning of the extra plush Leather cushions that provides every creature comfort the tiny tots could ask for their ears! Even the headband comes with its own layer of padding, making sure the little one’s head rests comfortably. Hearing SafetyThe special, replaceable ProFormTM leather ear seals are specially designed so that gaps between the ear and the muff are sealed off. The adjustable headband ensures that they stay in place. Sound QualityChildren might be scared if there is a complete lack of audible sounds around them suddenly. The passive earmuffs allow for a convenient amount of sound to filter through to the wearer’s ears, making communication easier while they are still on. Build QualityNo flimsy plastic, no tangle-pro wires – Pro Ears provide a durable product for youngsters and adults alike who want a hassle free reduction of ambient noises to focus on work, detox the soul, or simply avoid a migraine in the city ruckus. ComfortExtra soft feather rich cushioning on the earmuffs and the headband provide supreme comfort during prolonged periods of wear. Heating round the ears is normal, though, and can be avoided by periodically removing the device. 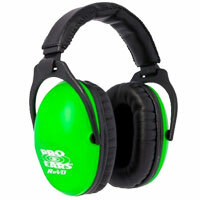 The Pro Ears Revo Passive Earmuffs are slightly pricier than their counterparts available on the market. But for a comparative NRR of 26dB as opposed to the 21dB usually available, you might want to take the deal. The build is durable and comfortable, and the noise attenuation is perfect if you want to keep things communicable as well as lower the ambient humdrum. Overall, great value for money! Cleverly built with meticulous attention to every detail, the Edz line of products have always been about customer needs and satisfaction. Right from a versatile fit that is just as comfortable, to an attenuation level suited for people with sound sensitivity issues, the company has thought about every aspect, from aesthetics to performance when designing these products. The Edz Kids Ear Defenders come with clever craftsmanship and good engineering that makes the product durable and fashionable. The headphones aim to provide a comfortable reduction in the loudness of the ambient sounds for the little ones. Meant to provide a cozy solitude, this set comes with fluffy king-sized earmuffs that snuggle the ears for maximum comfort. Indeed, they are one of the best mid-range equivalent noise-cancelling devices for kids on the market, with a tightly sealed acoustic design for maximum noise attenuation. Dimensions4 x 6.5 x 5″. Small enough to fit comfortably in your bag when folded and large enough to go around your head and sit well. Weight6.7 ounces. That’s about a cup of sugar. DesignThe over-ear construction features an easily fold-able design that allows it to fit into your palm. Light yet sturdy, the Edz Kids Ear Defenders/Protectors Hearing Protection Headphones are engineered to fit anybody, from a 6 month old and up. Meaning now you don’t have to worry about them outgrowing this pair like everything else they are growing out of. Conversely, if your teenage daughter happens to get tired of the style, you can easily hand it down to the next child in line! Hearing SafetySNR 26dB, Conforms to EN352. That means loud bangs and shots will not be blocked out completely (kids may get freaked out by a sudden lack of any sound. Even critical communication is endangered in that case). Instead, it will be muted and muffled so that they become bearable. That 4th of July fireworks event over the Niagra or that concert your husband has been eyeing? This neat little thing now lets you attend both and more! The little ones will no longer flinch or cry or put on tantrums because they will not be hearing most of the loud noises. Comfort FactorThe earmuffs weigh less than a pound and are sized for young heads. For infants though, the size may be a little big for smaller heads, especially if they are trying to keep their heads up straight. Hearing SafetyA NRR of 22dB makes it suitable for low to moderate reduction of ambient sound. Sound QualityNoise cancellation is moderate for toddlers and youngsters with ear sensitivity issues or those with autism. They can safely go for a fireworks show or play with other kids. Build QualityThe metal does not show and the plastic covering holds well. The only drawback would be the size of the Kidz Kids Ear Defenders/Protectors Hearing Protection Headphones. However, that is case specific. ComfortThe ear muffs are soft and comfortable but will tend to heat up if left on continuously without interim breathing periods. Fit might be slightly tight for children with a little larger than average head sizes. It is well built and cozy, but might be a little tight for children with larger heads. This can be accommodated by letting the headphones be ‘worn’ by two chairs, back to back, until they loosen up a bit. Whether you want to do that when you don’t know exactly how much they would stretch with little pressure, its your gamble! Simplicity is the only keyword in design for the Snug Safe and Sound Earmuffs for kids. Muted as compared to the other flashier products on the market, these headphones are cleverly engineered, producing a solid construction that aims at providing a durable product. Priced slightly below the average rate for protective earmuffs, it comes in an array of colors – one for every personality type! Cute as a button and snug as a bug, Snug lives up to its name with one of the best noise-cancelling products on the market. Its adjustable design makes it suitable for anyone between 6 months to 60 years. That, coupled with the rugged build, makes this pair suitable for use for many years. Dimensions6.8 x 4.9 x 4.0″, that might be a little less space covered compared to the other products on the market with headbands that open up more. Weight6.4 ounces. That is more or less 13 CDs stacked together without their cases. DesignThe lightweight Snug Safe and Sound Earmuffs come with a sturdy build and robust engineering; so much so that they are actually confident enough to offer a 5 year warranty on the thing! The external body is covered in good quality plastic with the internal skeleton made of high-quality components with increased strength. With a low profile Clam design that is sleek and comes in seven trendy colors – both your kid and you are going to have fun matching a pair to your personality. The cushioned headband is extendable and the super sized cups fold neatly into them. No wires for these non-electric devices, and hence less fuss. Tuck them into your bag or jacket pocket and you are good to go! Hearing SafetyWhether you are looking for a noise-reduction device for the sensitive ears of your little one, or a means to attenuate loud sounds for someone with special needs (Autism, Asperger’s, and the like) – this product will do the trick. Additionally, they offer a comfortable fit around the ears and are very flexible. Comfort FactorThe earmuffs come with plus sized padding and an extremely flexible headband that allows it to fit everyone from a 6 month old to an adult. The company lives up to its name, with the fit being cozy and comfortable around a wide range of ear and head sizes. Since the height of the entire device is a little lower than most, taller heads might find the fit a little tight with the ear cups hitting the chins at odd angles. Hearing SafetyA 23dB NRR gives a noise reduction enough to let your little one sleep in peace, participate and play in groups, and even allows for that trip to DisneyLand everyone was waiting for! Sound QualityThe noise isolation is satisfactory for the mundane (traffic, mowing, general hullabaloo around the house) to the more glamorous (sharp shooting, hunting, racing, DIY projects, etc). Build QualityFor less than 200gm in weight, the headphones pack a punch when it comes to construction. It is sturdy, robust and durable. Doesn’t hurt that it looks like a ladybug, too! ComfortCumulative comfort is moderately good. Only snag is the height of the gadget, which could be a little uncomfortable for some as it makes for a tighter fit around the head. 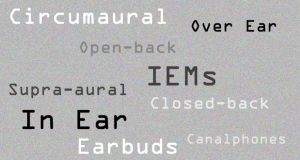 The over the ear headphones are functionally great. The ear muffs come with a generous helping of padding ensuring a snug fit. The headband is easily adjustable for an unbelievable diverse array of ear and head sizes. The device themselves are lightweight. Cumulatively, a no nonsense approach with an elegant fold-able design is lucrative for the price. Coupling crafty engineering with funky fashion, Em’s 4 Kids’ range of ear muffs and headphones are specially designed for infants. Comfortable padding, minimal weight and accurate dimensions of these products are aimed specifically to give high-quality protection to little ears. 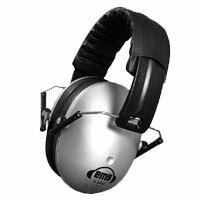 And, the Em’s 4 Kids Hearing Protection Earmuffs Noise Protection products falls right into that line. However you put it, Em’s 4 Kids has an agenda, and that is to give your infant safer hearing! Not sure if you want to impose gender roles just yet? Get the funky ear muffs from Em’s in a sleek silver or a cool mint, apart from the usual pink and blue! Dimensions4.9 x 4.6 x 4.2″. That is pretty much tiny enough for little a tykes head to fit right in. Weight8.8 ounces. About 2.25 cups of flour! DesignFunctional, sturdy, fuss-free and robust; these devices are made with an eye towards growing kids who run around and fall down a lot. The padded earmuffs rotate 180 degrees vertically, though metal adjustments on the cups are sort of an eye-sore. The headband has a wide strap that comes with an additional strip of soft padding. 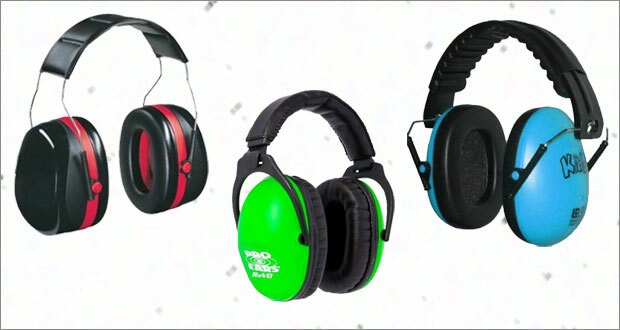 Hearing SafetyThe Em’s 4 Kids Hearing Protection Earmuffs Noise Protection products offer a moderate sound reduction for races, farming with grandpa, sawing with daddy, or mowing with mum. Comfort FactorThe over-the-ear design are supposed to be for six month old babies and toddlers. However, it doesn’t say anything about the head sizes. Though they are comfortably padded in the ear muffs as well as the headband, there is a slight spring tension felt even after easing them out. Sound Quality Noise cancellation is good as long as they fit your child properly, which becomes an issue for the really young babies. Loud noises are muffled quite well, if not completely muted. Household appliances are more or less completely cut off. 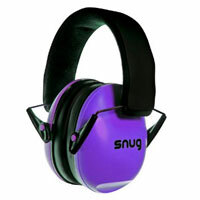 Build QualityThe Em’s 4 Kids Hearing Protection Earmuffs Noise Protection devices have a sturdy build with snug padding. The entire skeleton is conveniently covered with a wide strap headband that comes with added cushioning. Comfort The padded ear muffs tend to come down to the neck and the headband is somewhat tight, leading to a feel of pressure after a continued period of usage. Also, your toddler will require an adult’s help while putting them on and taking them off. It is lightweight and moderately priced. The earmuffs provide adequate noise attenuation for mid-level sounds (household, traffic). Only snag is the fit, which becomes case specific to the child as adjustments are not very flexible. Vic Firth’s drumsticks may not be tasty to your palette, but they sure are sweet to the ears when they slam those drums! If, however, you want to spare your child the agony bearing with your cacophony during those learning months, Vic has the perfect solution for you. The Vic Firth Isolation Kidphones are specially designed non-electric, isolation devices for the youngsters. Whether it’s a sound sensitivity issue or simply cranky kids on an airplane, they work smoothly towards bringing down outside noise to a minimum. The over-the-ear headphones come with cushioned earmuffs for a soft and comfortable use and an adjustable headband that allows for flexibility. The product is custom-made for children, giving them an edge over adult styles that need to be adjusted for a fit. They are lightweight and coil free, making them suitable for prolonged use by kids under a wide variation of circumstances! Weight8 ounces. That’s roughly the half pound birthday cake from last year. DesignThe over-the-ear design comes with a metal skeleton and soft ear padding. The outer body has a blue plastic covering that appears flimsy but endures longer than it looks it would. The adjustable headband gives moderate room for case-specific alterations. Unfortunately, since it’s custom-made for children, it will not fit anybody else in the house while he beats the drums! Hearing SafetyThe Vic Firth Isolation Kidphones lowers the decibel level to 22dB. That’s pretty much near silence for a normal human being. Say, a hushed whisper in a silent library. If your child has an ear sensitivity issue, is perhaps autistic, or simply doesn’t do well with loud noises, this is the pair of headphones you have been looking for. Whether it’s fireworks over the bridge or a particularly loud band marching down the street, these are specially constructed to block out the ‘terrible-tremors’ for your kid. Moreover, there is no wire that might get tangled around them to fuss over. All said and done, you might want to monitor the use while they are on the roads. You still want them to know there is a car right behind them! Comfort FactorThe soft padding is snug and comfortable for continued usage over prolonged periods. The headband offers decent flexibility for little heads that grow quick. Breathing periods for the ears is recommended though, for like all over-the-ear devices, these too heat up after a while, mainly from body heat. Hearing SafetyA noise reduction by 22dB ensures that your child can safely wear the Vic Firth Isolation Kidphones for continued periods without harm. Sound QualityThe noise isolation is satisfactory for household noises (vacuume cleaner, lawn mower, etc.) as well as outdoor ones (fireworks, traffic, crowds in the big games). 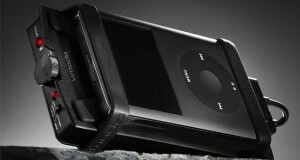 Build QualityThe flimsy metal body and plastic exterior is an eyesore, though durability for the piece is moderate. Plus, it only comes in one color and there is no designing to catch the kid’s attention. ComfortThe earmuffs are snug. The plastic headband is not. These headphones are functionally great. Visually? Not so much. If you are looking for a pair to substantially reduce noisy distractions for your kid, this is the one for you. But you probably will not be able to grab his attention with this design. I’ve tried to suggest the best possible options available and hope that one of the models fits your child. If you feel that there is a similar product, which has been missed out, just let me know. I will definitely review it.